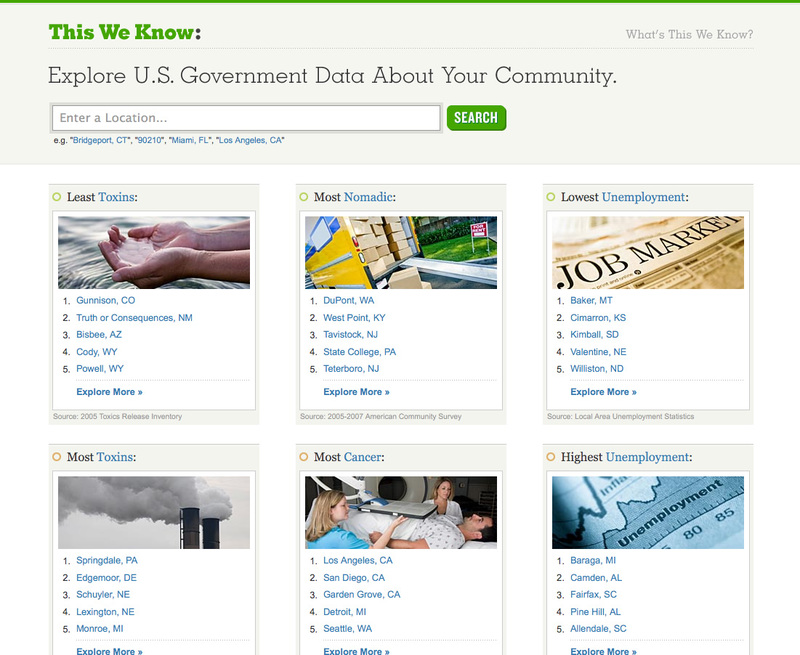 Our mission is to present the information the U.S. government collects about every community. By publishing this data in an easy to understand and consistent manner, we seek to empower citizens to act on what’s known. Tip: Click on any of the highlighted items above to explore the underlying data. It is a cool site and you can find out what areas have things like the least and most toxins, lowest and highest unemployment, and most cancer.